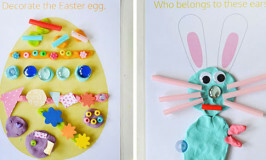 You can go all out setting up an amazing small world play scene, or you can keep it simple and whip up an easy imaginative play activity in a few minutes. For this big cat invitation to play, we went with simple. Imaginative play can be a great sanity saver. 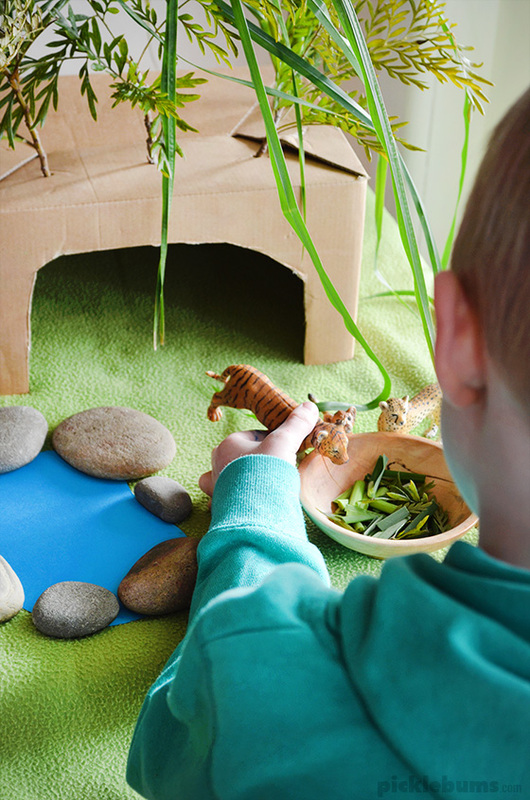 You can set up a little small world play scene in just a few minutes and if you stick with a theme your child is interested in, it might just keep them happily playing for a nice big chunk of time. Adding some kind of house to an imaginative play setting is always a hit with kids. 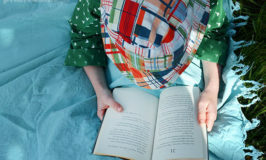 Having a little spot to tuck away a character or animal seems to have universal appeal, but it doesn’t have to be something elaborate or special. 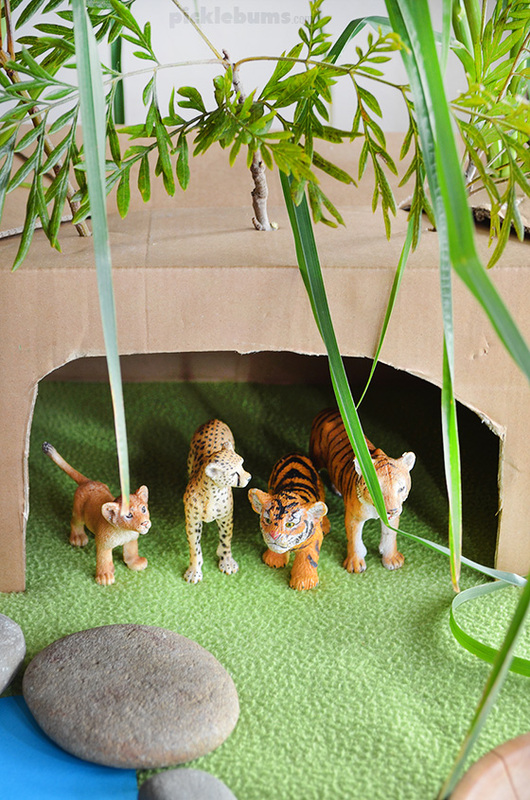 We made a house for our tiger and her cub out of a good old cardboard box. Sticks and branches from the garden. We used a green rug to cover the table, and collected some small branches, sticks and sprigs of grass from our back garden. I cut a ‘pond’ out of some blue paper and put some rocks around the edge of it. And I turned the box over and cut an opening on one side. Then all we needed was some animals. 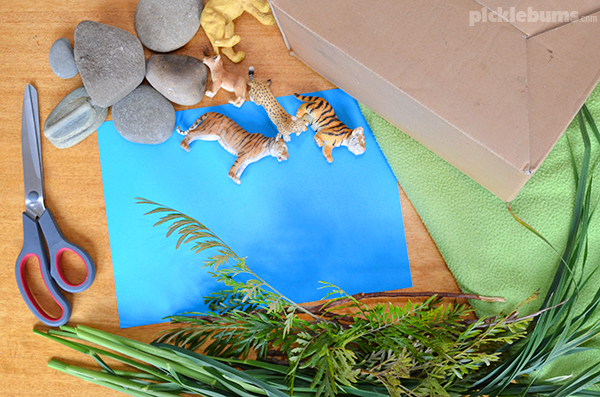 We chose some wild cats for our small world set up, and the owner of the ‘house’ was a tiger and her cub. Another thing kids love to have as part of small world play like this, is something to feed their characters. 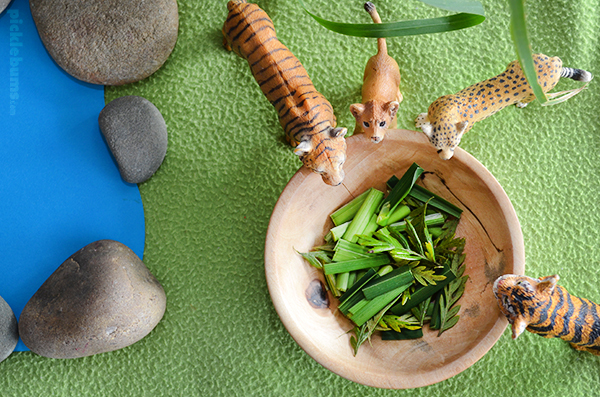 So we added a small bowl and add chopped up grass and leaves as food for the wild cats. 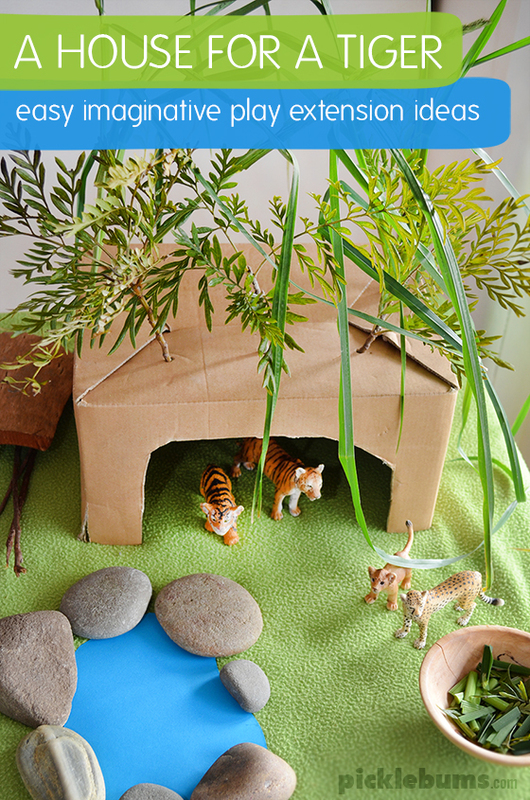 If you kids enjoyed this little ‘house for a tiger/ imaginative play, they might like some more tiger activities or books. 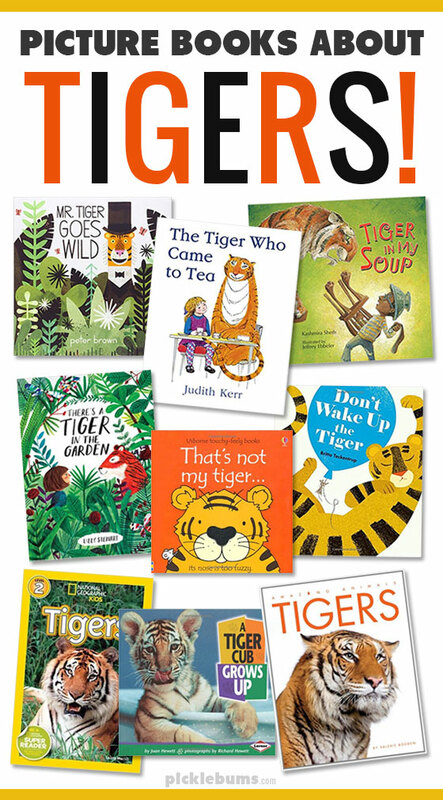 There are lots of lovely stories about tigers, as well as some great non-fiction books. More Tiger Activities and Crafts. Set up some Tiger Who Came to Tea sensory play. Marble paint the strips onto a tiger. I love this idea Kate ! What a great idea Kate, will have to remember to pick up some things from nature on my next walk and give it a go with my two littlies! They’re feeling a touch lost without their big brother around. awesome!! i’m so stealing this idea.